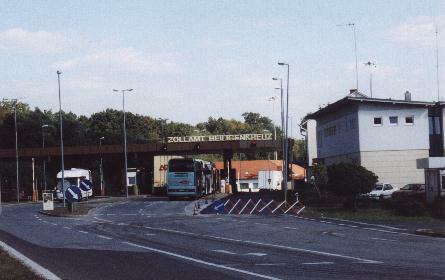 This is the Hungarian border crossing at Heiligenkreuz. We would liked to have seen a bit of Hungary too, but with the rental car we had, we were not allowed to cross the border. This was about our second day of traveling and did not realize we'd be so close to the border, and decided that from then on, we'd better carry our passports with us!